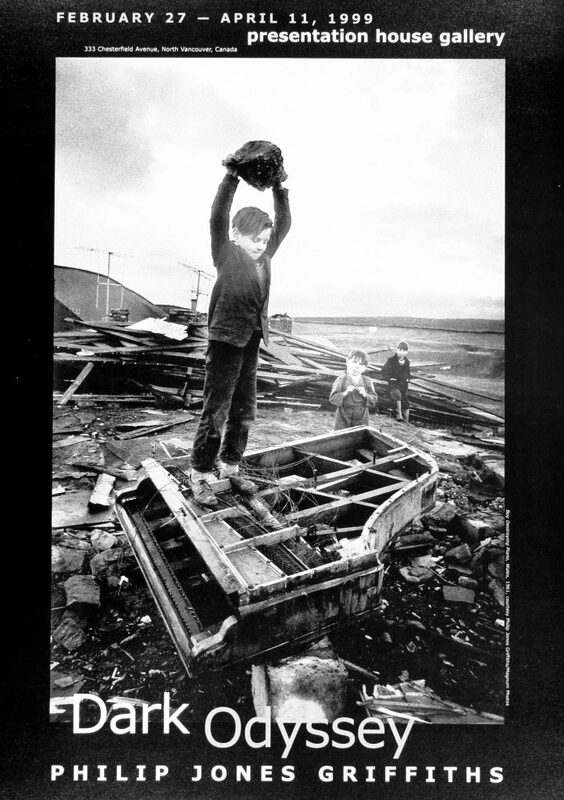 A remarkable selection of photographs taken over four decades by one of the most prolific, dedicated photojournalists working today, Philip Jones Griffiths. His work has taken him to more than 140 countries on five continents, depicting the tragedies of war, famine and civil unrest. Griffiths is perhaps best known for his influential book, Vietnam Inc. published in 1971. His books will be included in the exhibition, on loan from local collectors. 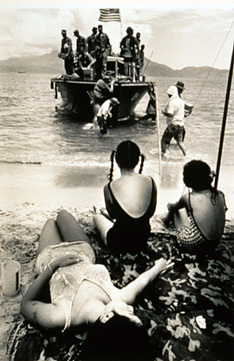 Organized and circulated by Curatorial Assistance, Los Angeles, and accompanied by a 196-page monograph published by Aperture. Supported in Vancouver by VanCity Savings Credit Union and the Canada Council for the Arts. 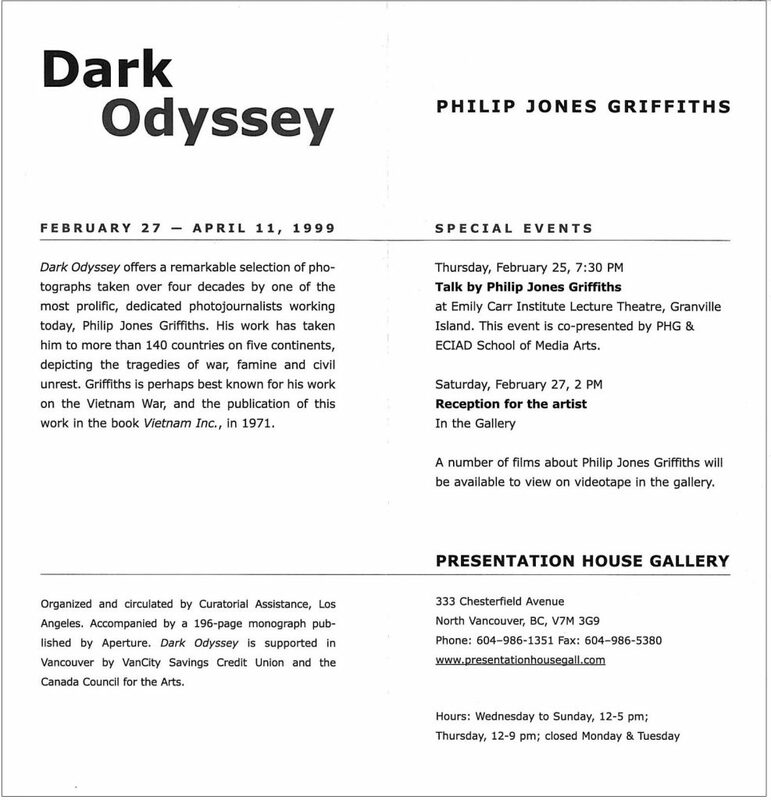 Thursday, February 25, 7:30 pm | Artists' Talk with Philip Jones Griffiths, Emily Carr Institute Lecture Theatre. Co-presented by Presentation House Gallery and ECIAD School of Media Arts. 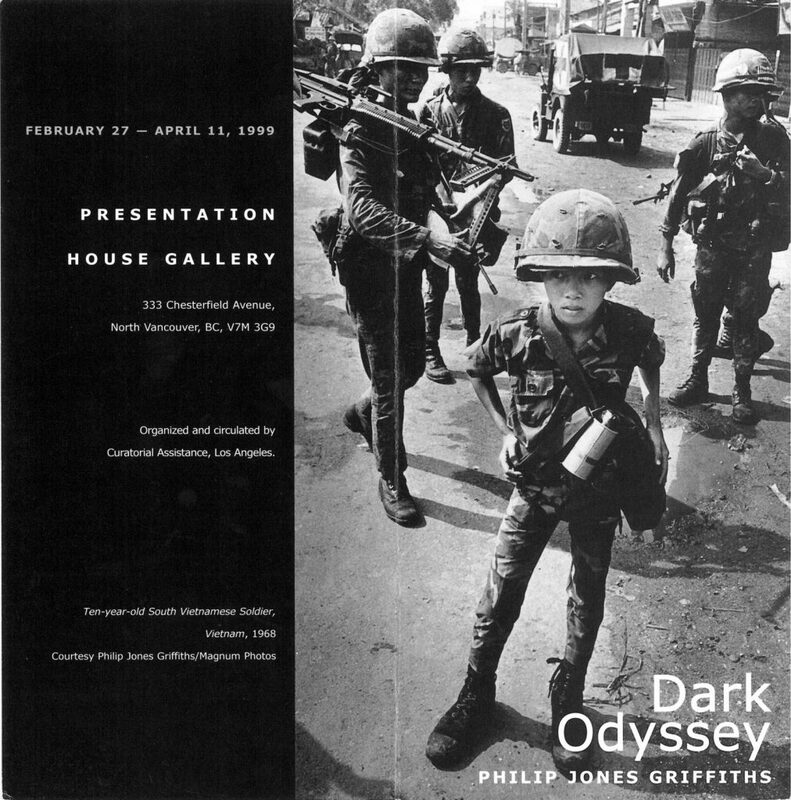 Poster for the exhibition "Dark Odyssey: Philip Jones Griffiths"